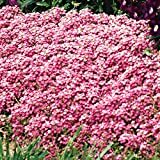 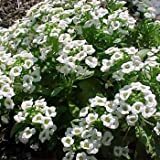 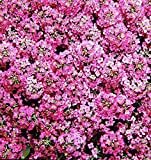 Sweet alyssum plants for sale – Easy plant to grow, with edible leaves and flower but mostly grown for the ornamental flowers, planting in spring or autumn, better to buy plant or seeds. 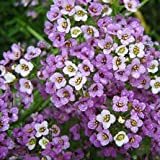 Blooming in the spring to autumn in cross shaped flowers that appear in white, purple or pink color. 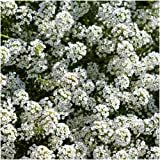 Edible part: leaves and flowers and can be used for salad or cooked.